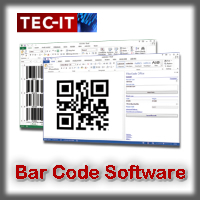 TEC-IT is a global provider of barcode software, label software and reporting software. TEC-IT software is in worldwide use and supports all common operating systems, ERP solutions, standard applications and development environments. Infology Corporation is a business partner with TEC-IT. You may purchase all TEC-IT software through us. Contact us at sales@infology.com for details.